Applying for a business credit card is definitely a priority to almost every entrepreneur. Many entrepreneurs, especially small business owners are always willing to have business credit cards, which can be crucial in making business payments. However, a problem arises if you do not have a secure credit history as it makes the whole process difficult and almost impossible. This difficulty is even escalated if you are seeking an unsecured business credit card. Again, having limited revenue or capital, as well as having a business that is not yet stable can add more strain to the matter. Nevertheless, business owners who are seeking business credit cards with no credit can explore different ways that to enable them to attain business credit cards with virtually no credit at all. Here are some proven ways and solutions of getting business credit cards with no credit. This is certainly one credit card solution that a business owner can explore. A secured business credit card does not need any previous credit history. As a business owner, a secured business credit card can be offered to you as long as you supply the required deposit, which acts as security or collateral to your business credit card. The issuing bank can be obliged to use the deposit if you fail to pay your monthly bill or any other financial commitment. Generally, it is easy to qualify for secured business credit cards with no credit. However, in the event that you are struggling to meet eligibility requirements that may be placed by some issuing banks, you have the option of applying for a business credit card that does not require credit checks. While these secured business credit cards may require you to put down big security deposits, they offer the same benefits just as any unsecured business credit card. 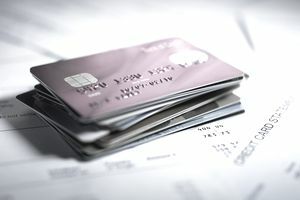 Partnering with somebody with good credit history is another solution to getting a business credit card without credit. For instance, collaborating with a business partner with reputable credit can boost your chances of having a business credit card. All your business partner has to do is to apply for a business credit card and add you as an authorized user. This is not only a potential way of streamlining the business' expenses but also a major way of boosting your personal credit score. To build proper eligibility for getting a business credit card, you can consider having all your business’ payments recorded by any major credit bureau such as TransUnion, Equifax, and Experian. For example, if your business is based on a rented business premise, you can consider requesting your Landlord to sign up for a service such as RentTrack. This will ensure that whenever you make rent payments it reports to the credit bureaus, thereby making it possible for you to qualify for a business credit card. Even though this may not work directly towards getting a business credit card, it is worth noting that applying for various business credit cards while you have no established credit can work against you. This is because your business has not demonstrated that it can handle even a single business credit card. Therefore, consider applying for a single business credit card until that time when you have an established credit background. Also, keep in mind that paying your business' bills and debt obligations on time and without failure is essential for qualifying for a business credit card either with credit or no credit. To this end, business owners should realize that getting a business credit card without any credit is obviously a challenging adventure. However, resorting to secured business credit cards, partnering with an eligible person, recording business payments with credit bureaus, as well as turning to credit-builder loans can quintessentially enable them to attain business credit cards with no credit.